I've been rather busy these last few weeks with work and the flu. This week I will start posting my very fluffy Word bearers army. I'm trying to represent the units and characters from the Anthony Reynolds omnibus. 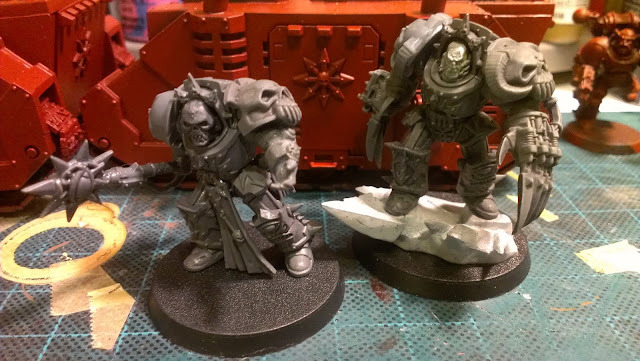 Here is a sneek peek at the HQ conversions. They are meant to represent Marduk and Kol Badar.